I remember a time when getting a custom landing page created would cost an arm and a leg. From getting it professionally designed to the coding required and getting it setup would have easily set you back 4 figures. But now, you can just buy a plugin or some other kind of landing page software, connect it your site and in minutes, you can have a fully functioning landing page! 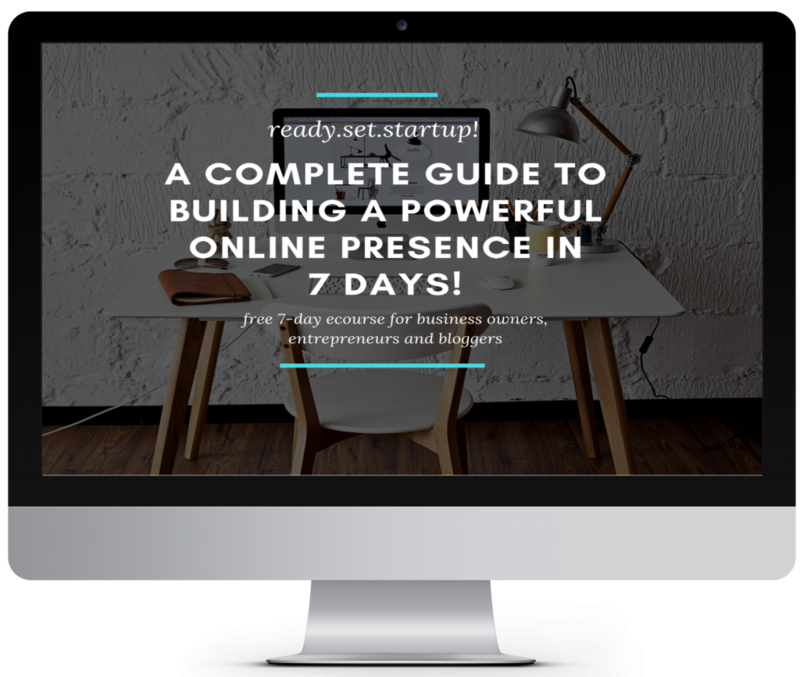 When I first started taking list building seriously, I knew that I needed to step up my tech game and invest in some sort of tool that I could use to easily create landing pages for different freebies ad opt-ins that I give away from my blog. So…I made my way to the net in search of the best landing page creator and tech solution for my biz. At the time, there were quite a few options to choose from…well, really two key players that stood out to me. They were: Unbounce and Leadpages. I tried my hand at using them both, but felt like they were too hard to customize. UGH. Plus, I didn’t like the idea of paying a monthly fee to use the software. Simple things like removing white space on a landing page or changing the call to action buttons on a page made me want to scream! Even worse, changing colors to different areas of the page took an act of congress. So… I continued looking for other solutions in the marketplace. 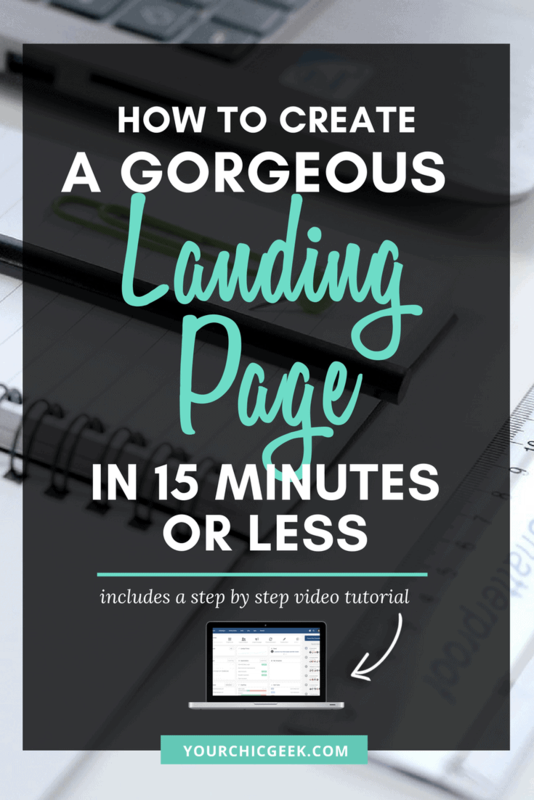 The Best Landing Page Creator + Tech Tool I Use to Build Beautiful Landing Pages in Minutes! In a previous post that discusses how to add marketing funnels to your site, I mentioned that a biz bud introduced me to one of the BEST damn WordPress plugins in the marketplace today. I had mentioned to him that I wanted to start building out landing pages for my blog, but was struggling to find a good solution. He recommended a wordpress plugin that I wasn’t familiar with called Thrive Content Builder. I had never heard of Thrive before he mentioned it, but I was intrigued based on his feedback of the plugin. Being the adventurer and tech gal that I am, I purchased the plugin and installed it on my blog. After I installed it, I’m gonna be honest… initially I was NOT impressed with the plugin. In hindsight, it because I didn’t understand how to use it to its full potential. I am glad that I didn’t give up on it because now I am a whiz at building landing pages, thanks to Thrive Content Builder. Are you giving away a free an opt-in from your page? Are you hosting a free webinar? Are you running a free challenge? In any case, this is something that you need to know before you build out your page. Start with your why, then work on providing the what and who. The headline/title of your landing page: Your landing page title should be specific and focus on what is desirable to the person you want to attract to it. One of the best blog posts I’ve read in a good while is this one. Be sure to read it as it talks all about optimizing your landing page for conversions and making sure that you are speaking clearly to the audience you want to target. You can use a tool like Coschedules Headline Analyzer or the EMV Headline analyzer to test your headline. A subtitle (if applicable): Should clearly explain the benefit of what people will get for opting into your offer. The benefits of your offer: You can list them out in bullet points and explain why people should opt in for your offer and why. Step 3: Choose a color scheme for your landing page and apply it to your page. Consistent branding…even down to your landing pages is key. I always use color-hex.com to find color schemes that inspire me. It doesn’t matter if you are giving away a cheat sheet or a free e-course, you need visual representation of your offers. It just helps people envision themselves with it. If you’re interested in learning how to design mockups, check this out. If you are using your landing page for live events, you still need to add some sort of visual of the event there. Trust me…it helps with conversions. Sign up for this or Enroll here are overused calls to actions that I see ALL the time! You need to get creative with it. When ever I am adding calls to actions to my landing pages, I usually start looking around the web for more specific examples of inspiration that I can use. So you’re ready to create a landing page for your blog or website? GREAT! Check out this step by step video tutorial that I created. I originally shared it on another post but figured it was suited for this one as well.